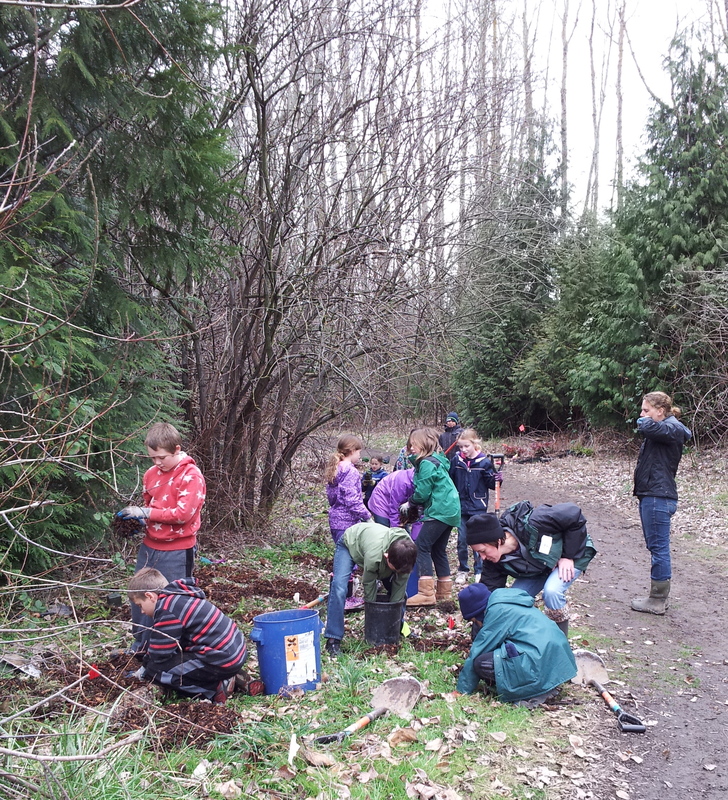 The Columbia Slough Watershed Council (CSWC) works directly with several of my passions: outdoor place-based education, service learning projects and stewardship. I volunteered with their Slough School education program, which works with students in the surrounding schools. Staff members visit classrooms and teach students a wide range of topics, such as water quality and native plant species. Students also come to restoration sites to learn in the natural environment. The CSWC provides opportunities for service learning projects (planting native plants), and learning about the eco-systems through water chemistry tests, observing micro-invertebrates, and identifying species and habitats. 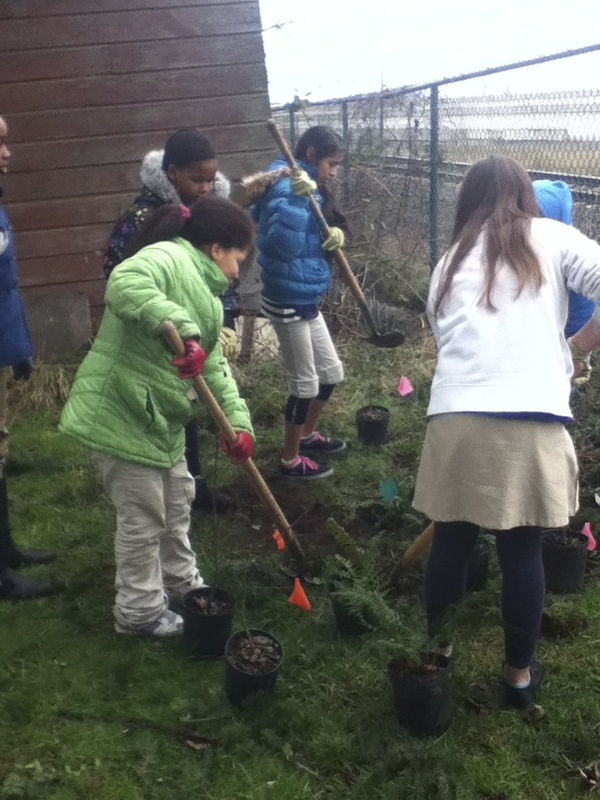 I volunteered at a community site near Fairview (just off I-84) with a 5th grade class. The students planted native species to beautify the area and create a sound barrier next to a busy road. They also did water chemistry tests to explore Ph, oxygen, and temperature; learning how these things effect water quality. A couple of the students grew tired of the project quickly, but the vast majority were thrilled to be outside, getting their hands dirty, and helping their community. Almost all of them wanted to stay longer, a testament to the power of placed-based education! Many of the field trips take place at Whitaker Ponds, (also the CSWC office site). 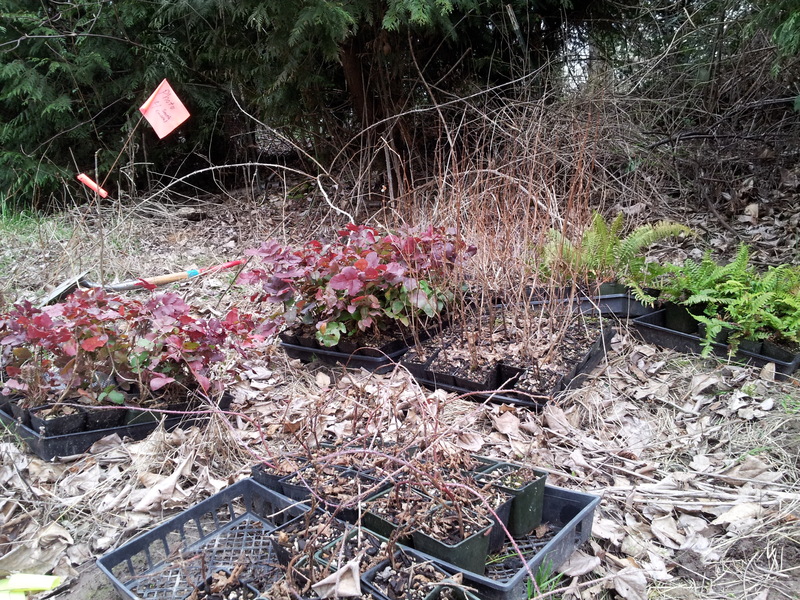 Students have planted hundreds of native species there this year. I volunteered at this site twice, assisting with plantings, water quality tests, and micro-invertebrate studies. It’s so great to watch the children become scientists and stewards, enjoying their natural world. A big thank you to the staff and volunteers at CSWC for all they do with the community and fostering a sense of stewardship with our youth! It was fabulous getting to know your organization. 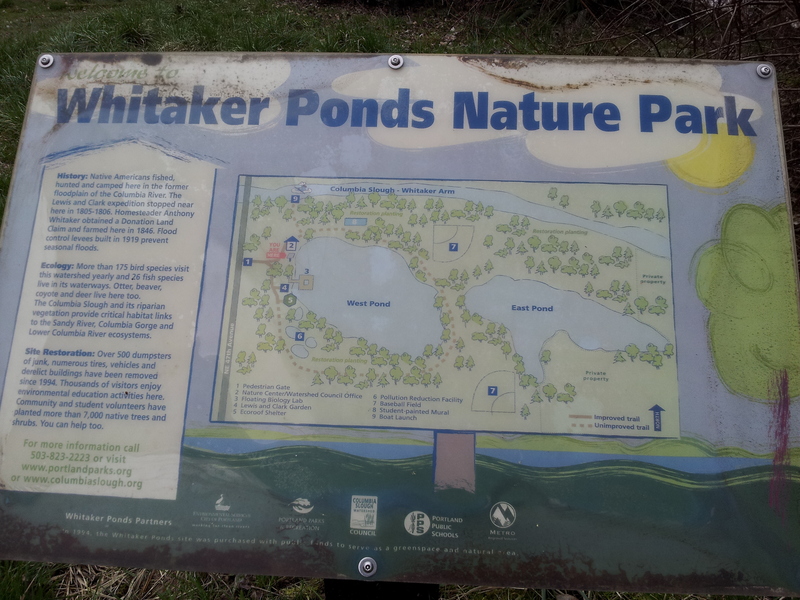 Watch this great 5-minute documentary on Whitaker Ponds – really well done. Suggested Reading Material on children and the outdoors: Last Child in the Woods by Richard Louv- check it out here. 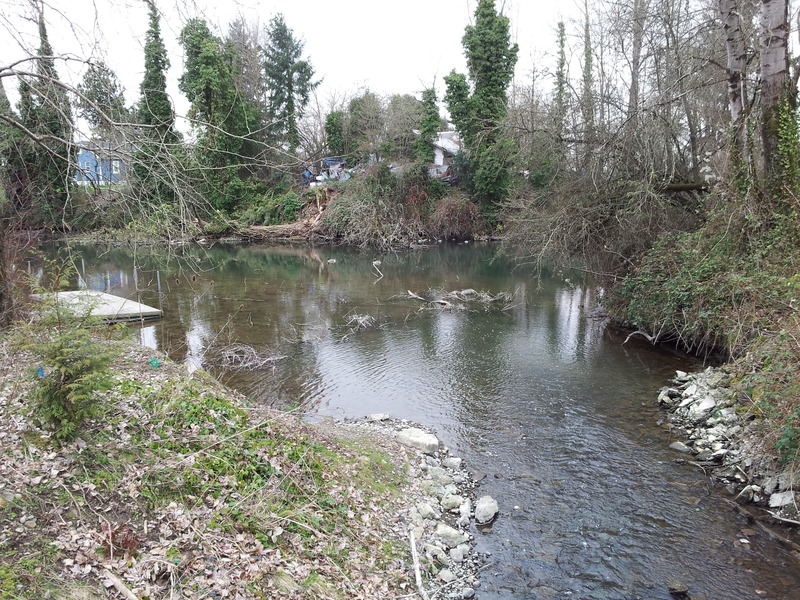 Want to Learn more about the CSWC and the Columbia Slough? Check out my other posts in this four-post series. 1. Columbia Slough – What is it? This entry was posted in ENVIRONMENTAL EDUCATION / ECO-PARENTING, VOLUNTEER FOR A YEAR and tagged chemistry, environment, outdoor school, stewardship, Volunteer. Bookmark the permalink.